CFC carbon fiber shell reinforced with Zylon. 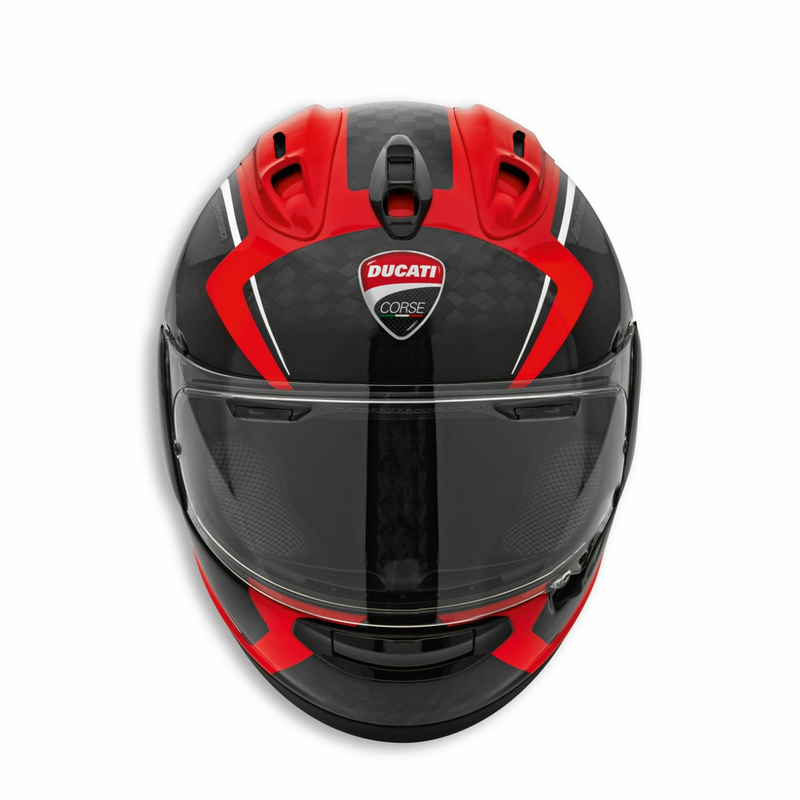 Exclusive technology developed by Arai that uses latest generation carbon fibers developed for aviation use. 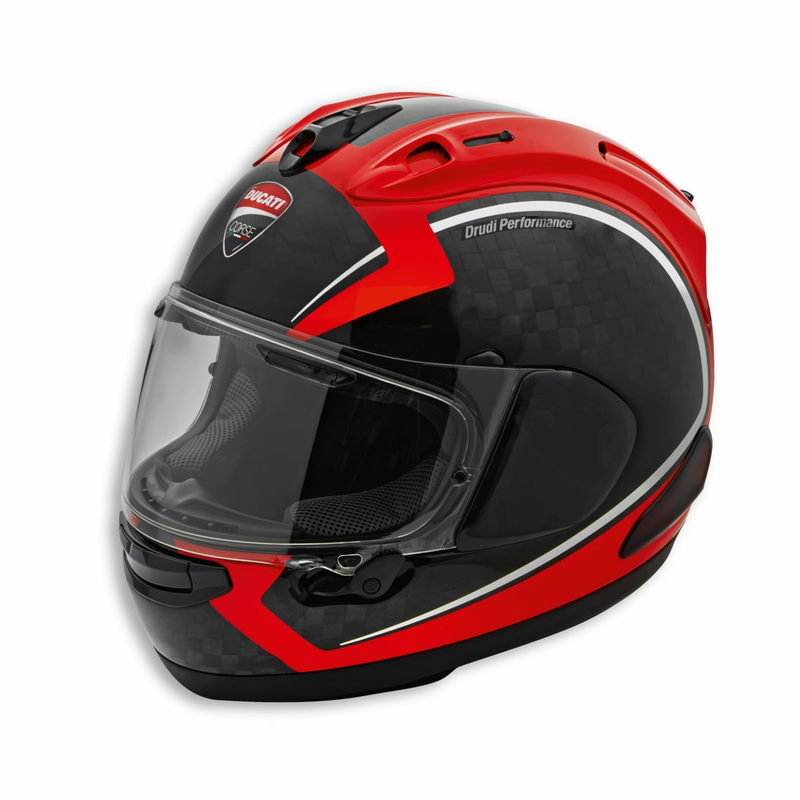 The fibers are bonded with special Arai resins and reinforced with a band specifically oriented for the dispersion of energy through the shell surface. In the front this band increases the shell strength without adding thickness or weight, and allows for the use of a thinner inner padding thus improving the field of view looking upwards, particularly useful on the track. 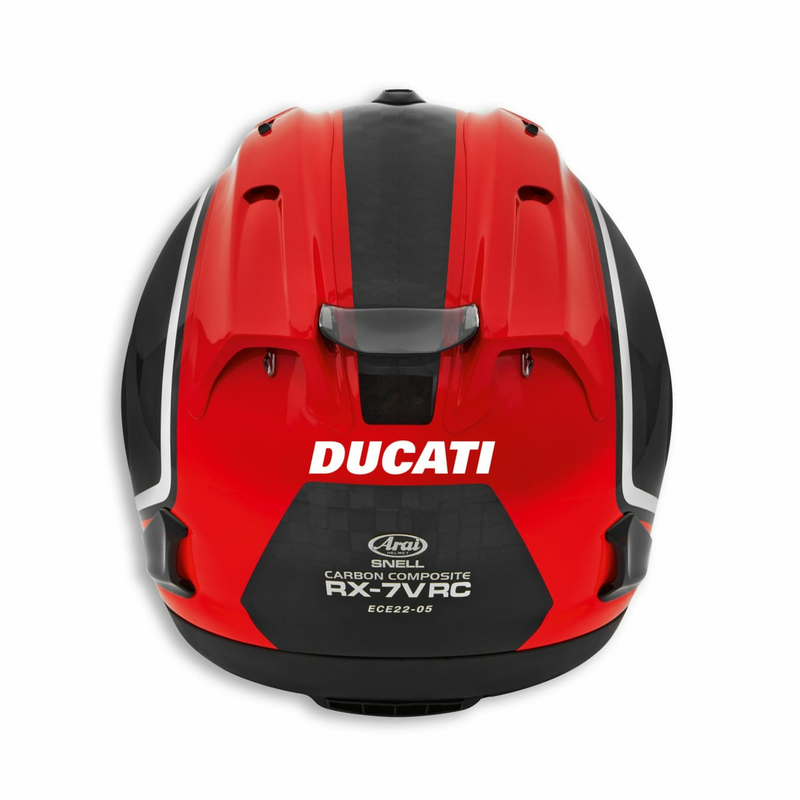 The Ducati Corse Carbon 2 helmet can be personalized on the back with wording that is a maximum of 7 cm long by 1 cm high. Contact your area manager for more information. The helmet is supplied with clear and light smoke visor. Reference model: ARAI - ECE RX-7V RC; USA Corsair-X Ducati; JAP RX-7X RC.